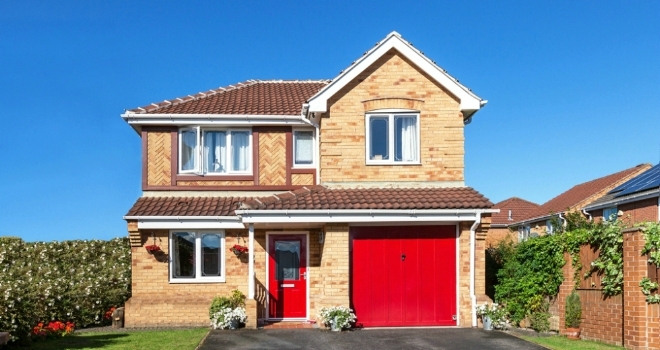 The latest data and analysis on UK house prices from the Office for National Statistics has revealed that, in the year to December 2018, average house prices in the UK increased by 2.5% – a fall from the 2.7% recorded in November 2018. According to ONS, this is the lowest annual rate since July 2013 when it was 2.3%. Over the past two years, there has been a slowdown in UK house price growth, driven mainly by a slowdown in the south and east of England. The data revealed that the lowest annual growth was in the North East, where prices fell by 1.0% over the year to December 2018, down from an increase of 1.7% in November 2018. This was followed by London where prices fell 0.6% over the year. Average UK house prices during December 2018 stood at £231,000 – a rise of £6,000 when compared to December 2017. On a non-seasonally adjusted basis, average house prices in the UK increased by 0.2% between November 2018 and December 2018, compared with an increase of 0.4% in average prices during the same period a year earlier (November 2017 and December 2017). On a seasonally adjusted basis, average house prices in the UK increased by 0.2% between November 2018 and December 2018. That said, for new buyers, the current low interest rate climate coupled with the Government’s commitment and extension of the help-to-buy scheme will offer further support for those hoping to get a foot on the ladder. Jeremy Leaf, north London estate agent and a former RICS residential chairman, says: “This reduction in growth is not entirely surprising given that the figures reflect what was happening in November and December when Brexit turmoil was even more frenzied than it is now. But what has happened since on the high street is that we have seen the release of some pent-up activity and even investors and developers taking a more optimistic view than they have done for some time. The market continues to be underpinned by a shortage of available property and very low interest rates. However, in order to successfully transact, realistic sellers need to make their properties compelling in terms of price, presentation, or both, in order to engage with fewer but more pragmatic purchasers. Mark Harris, chief executive of mortgage broker SPF Private Clients, says: “December’s figures confirm a slowdown in house price growth which is not really surprising given the time of year and ongoing Brexit shenanigans. The national average figure masks significant regional differences with prices falling in the North East and London, whereas Northern Ireland and Wales experienced relatively strong house price growth. With London property prices falling every month for the second half of last year, prices clearly need to correct, which is encouraging both for first-time buyers and second steppers trying to make a move up the housing ladder. However, let’s not get carried away as London remain the most expensive part of the country to purchase property so any price reductions should be placed in that context. Alastair McKee, Managing Director of One77 Mortgages, had this to say: “A rather predictable and anticlimactic end to an erratic year where UK house price growth is concerned and the lowest rate of growth in over five and a half years will probably come as less of a shock than it may have six to 12 months.